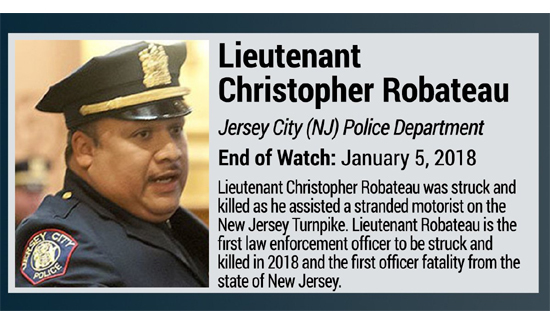 In New Jersey, thousands of cops from all over the place recently arrived in Jersey City to say goodbye to Jersey City Police Lt. Lt. Christopher Robateau. Robateau, 49, was struck by a pickup truck on the New Jersey Turnpike after being involved in a crash at roughly 6:30 a.m. on Jan. 5 police said. The officer was on his way in to work when the crash occurred. Streets in Jersey City were lined with residents, business owners, and police officers paying their respects as a procession went past. As Robateau’s flag-draped casket was removed from the hearse, the officers in attendance stood at attention as a State Police helicopter hovered overhead.